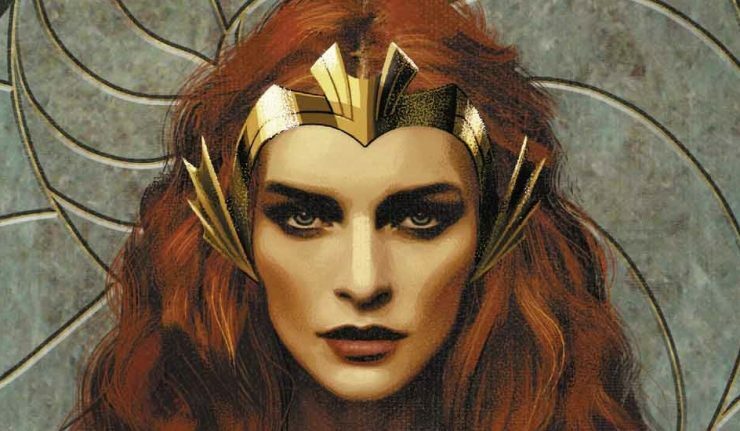 After the events of Suicide Squad #45, we’re immediately thrust into the world of Atlantis as Mera has been crowned Queen. 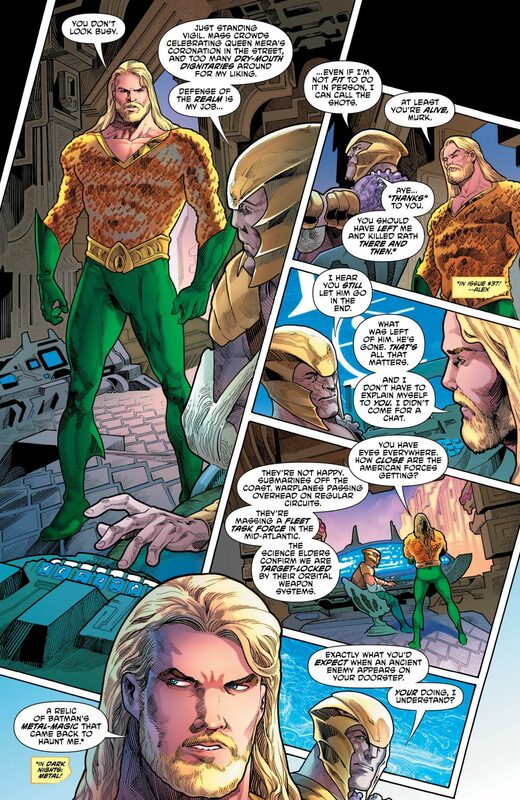 Aquaman takes it upon himself to act as Atlantis’ security, not wanting to bother Mera on the day of her coronation. 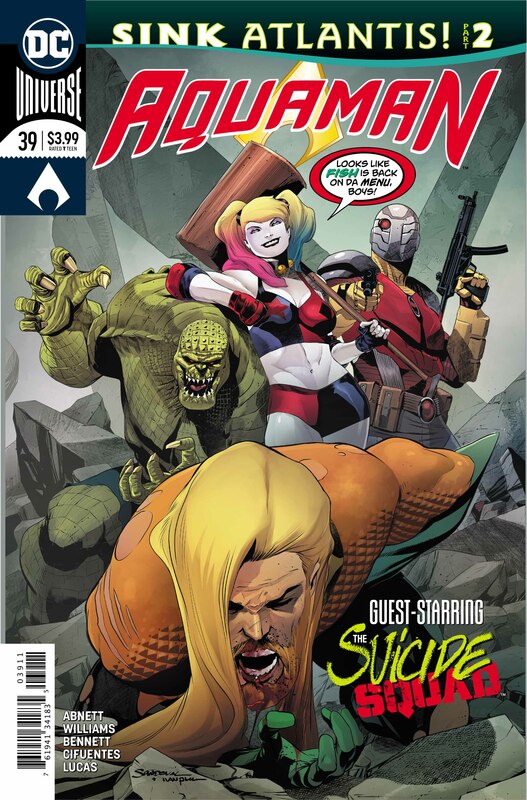 As the true motive behind the Suicide Squad’s presence is revealed, it leads to a divide within the team. Two out of the five believing that they should go on and continue with their mission. 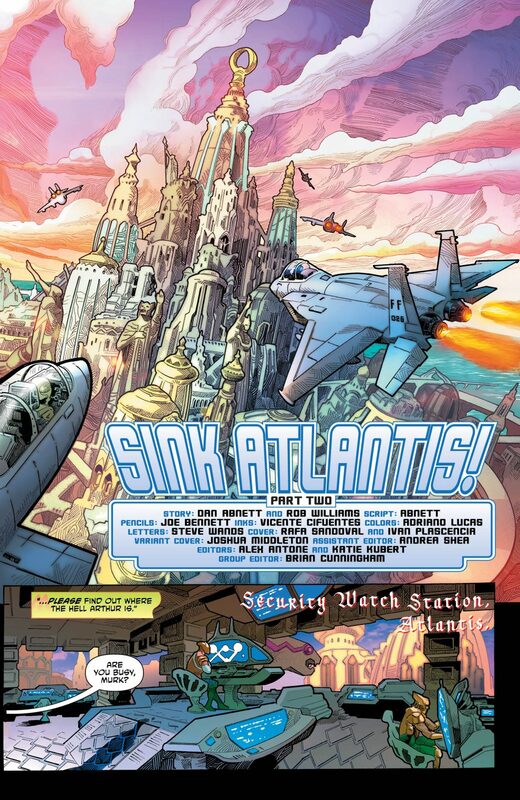 This leads to some large personalities falling out and Aquaman, and his team, intervening. What I like about this issue are the similarities between the two factions. 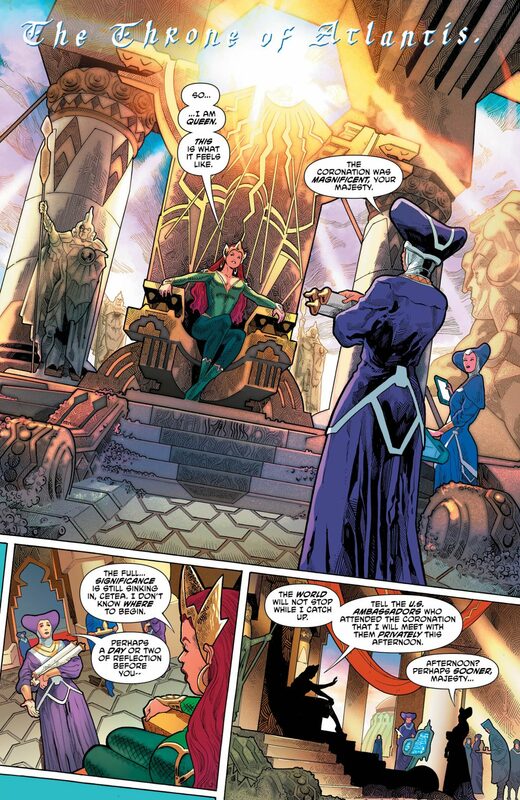 Mera and Arthur have a brief falling out about who makes the final decisions. Whereas the Suicide Squad have a falling out in regards to finishing the mission. 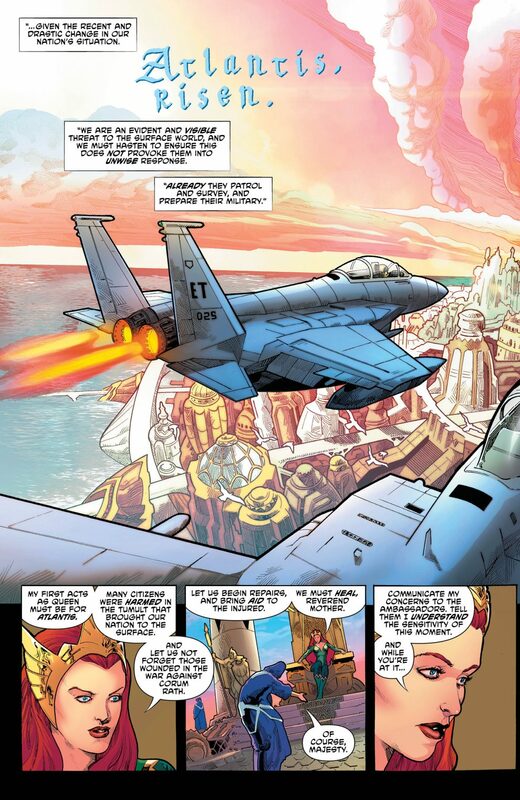 I find it fascinating that the team of morally questionable characters are having doubts about nuking an entire city. Considering the things some of them have already done under Amanda Waller’s authority and I love the idea of them finally having had enough. 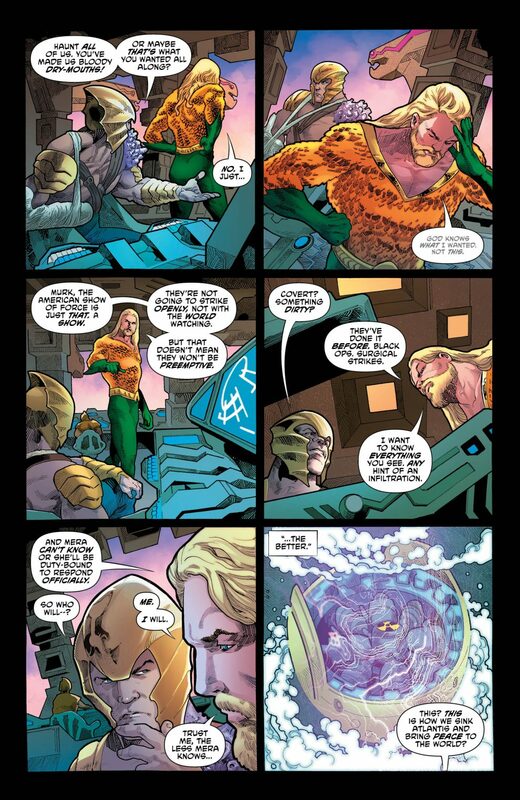 On the other end of the spectrum however, Aquaman seems relatively at ease with using unconventional means to combat the new threat. I have to say, I really am enjoying this run so far. Although we’re only two issues in, I can see it being a real hit the fans. It’s got conflict in places you wouldn’t think there’d be any. There’s action at every turn, the writing is spectacular, as is the artwork. It is just genuinely a pleasure to read.